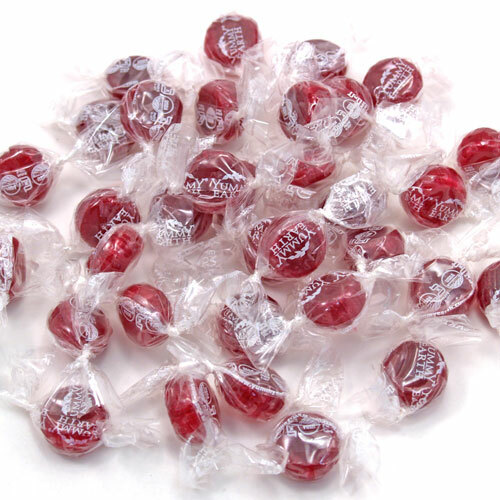 Pomegranate Pucker organic hard candy from YummyEarth! Ingredients: Organic evaporated cane juice, organic brown rice syrup, non-GMO citric acid, organic and natural flavors (pomegranate), organic and natural colors. Approximately 136 drops per pound. Delicious; you can pretend they're pomegranate or sour cherry, as you choose - they're convincing as either. Most tasty. These are perfectly tart and sweet. Can be addictive, lol.